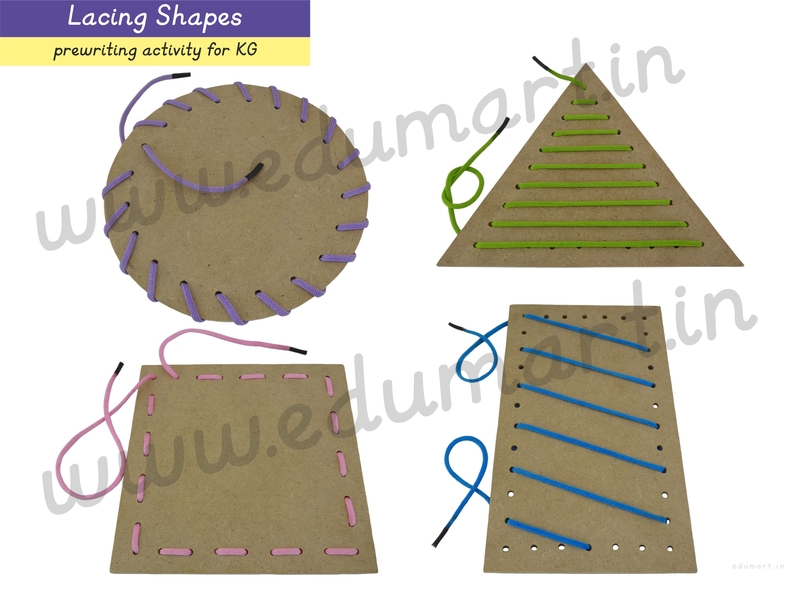 Why Lacing activity ? . The journey to being able to write correctly should start long before your child really even knows how to form letters or shapes. It starts with the strengthening of fine motor skills particularly their pincer grip. (e.g. holding a pencil while writing). Pincer grip skill is using thumb and pointer finger together to grab things – which is necessary to hold a pencil properly. Lacing activity strengthens fine motor skills and hand- eye coordination because it provides a wide range of motion that children can use. They also learn to focus and use their imagination as well. They’ll also become aware of the roles of their dominant and non-dominant hands. Stabilizing the cutouts while working the string through the holes really strengthens those little fingers and wrist muscles. 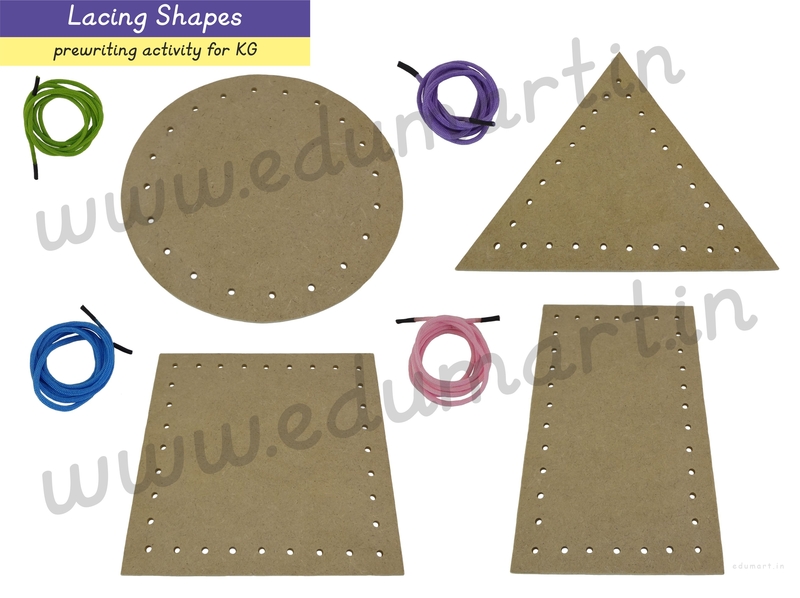 Furthermore, engaging in activities like these gives children a break from the monotonous work of tracing or colouring, and gives a vast range of movement that is useful. How to use ‘Lacing Shapes’ ? . Practice lacing along the holes at the edge of the shape. After enough exposer, you can encourage them to apply some ideas for more complex styles as shown. ● Develops concentration and wrist agility. ● Lacing strengthens pincer grip. ● Help identify roles of their dominant and non-dominant hands. ● made from MDF, are cut in basic geometrical shapes. ● Suitable for home schooler or a class. Board size : (1) circle diameter : 15.3 cm (2) triangle : 17.5 x 15.5 cm (3) square : 15.3 x 15.3 cm (4) rectangle : 11.4 x 19.2 cm. MDF wood : 3 mm thick. All size are approximate.